R-134a is the internationally recognized CFC-12 best environmental alternative. HFC-134a does not contain chlorine atoms, the ozone layer is not destructive, has good safety performance (non flammable, explosive, non-toxic, non irritant, non corrosive); the refrigerating capacity and efficiency and CFC-12 is very close, so as the excellent long-term alternative refrigerant. HFC-134a can be widely used for automobile air conditioner, refrigerant refrigerator, central air-conditioning, commercial refrigeration and other industries, and can be used in medicine, pesticides, cosmetics, cleaning industry. R134a as an alternative refrigerant to R12, many of which are very similar to the R12 and the characteristics of. 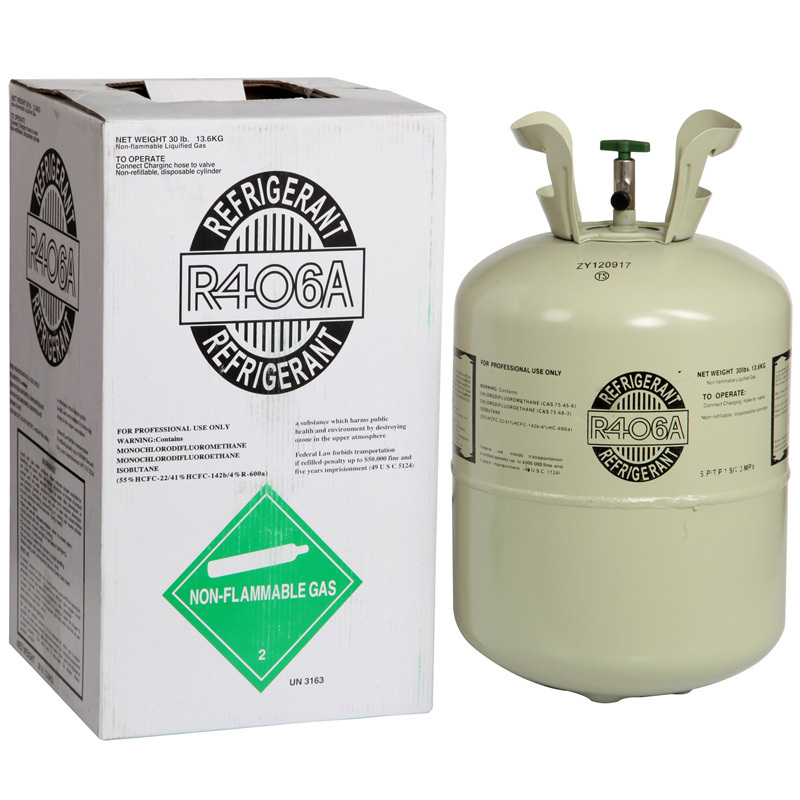 R134a has very low toxicity, non flammable in air, security category for A1 refrigerant, is very safe. The chemical stability of R134a is very good, but because of its solubility in water is higher than R22, so the refrigeration system is adverse, even a small amount of water exists in lubricating oil under the action of will produce acid, carbon dioxide or carbon monoxide, will produce a corrosive action on metals, or produce & quot; copper " role, so R134a on the system of dry and clean more demanding. R134a mutual chemical reaction of steel, iron, copper, aluminum and other metal did not find the phenomenon, only a slight effect on zinc. Packing: 300g, 13.6kg, 800kg, tank, filling coefficient of not more than 1.1kg/L, should be stored in cool, dry and ventilated place, avoid the sun, rain.